Diamond increases the love of a husband to his wife; this is seen today as the custom of giving the diamond engagement ring by man. Ancient Roman believed that the vein in the left hand ring finger is directly connected to the heart. Therefore, it is often suggested that the placement of the engagement ring on the left hand ring finger is based on this ancient Roman belief. The Latin phrase “Vena Amoris”, meaning “vain of love” refers to this practice. It is also believed that diamond is an unfailing test for fidelity, because it is said, a stone placed on the breast of sleeping loved one causes the sleeper to tell the most intimate of his or her secrets. In fourteen century, it was believed that diamonds can drive away night spirits. This is probably because of their magical ability to light up the darkness. A widely held belief which was first mentioned in the Talmud was that the diamond could change color to dark or brilliant according to the guilt or innocence of the wearer, if the wearer was sinful becoming darker with every new sin. 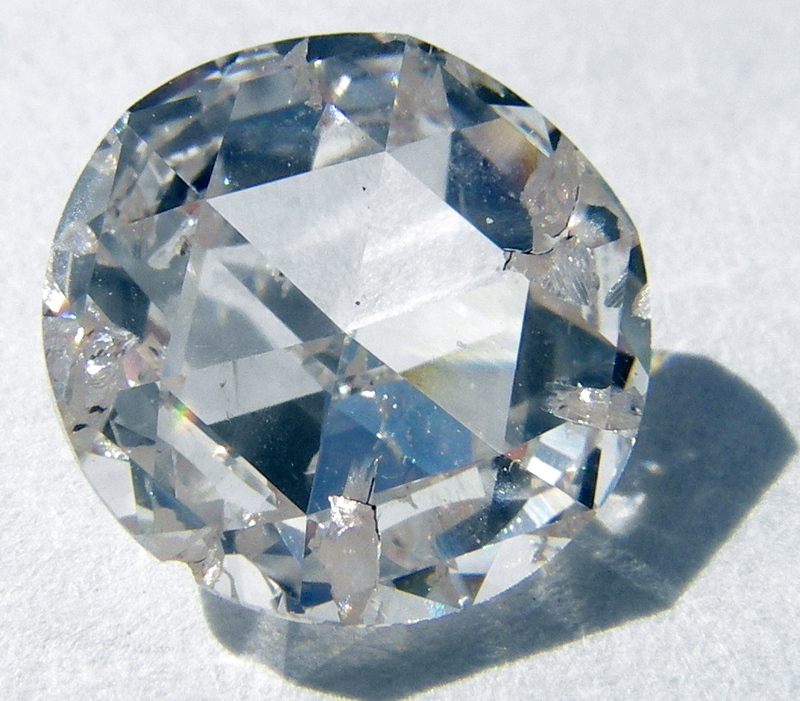 Ancient Greeks firmly believed that fire and water had no effect on diamond. It was believed that diamond can overcome poisons, end delirium and banish needless worry. It could harness violent feelings and thoughts of murder, lessening anger and strengthening love. Because diamond is so hard, in many cultures, it was believed that diamond is the most effective of talismans, withstanding great evil powers and driving them into submission. More modern beliefs about diamond's meaning involve good luck and happiness. The wearer is given strength of both character and body and is able to resist temptation. 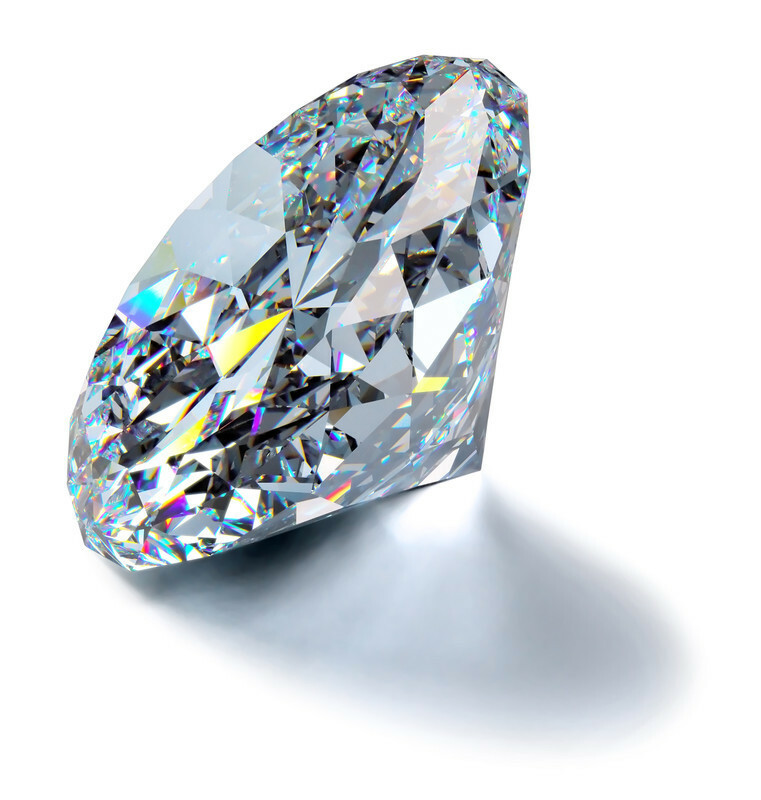 Diamond’s greatest metaphysical power is to give purity, innocence, and virtue to the wearer. It is worth noting that diamond is the birthstone of April. 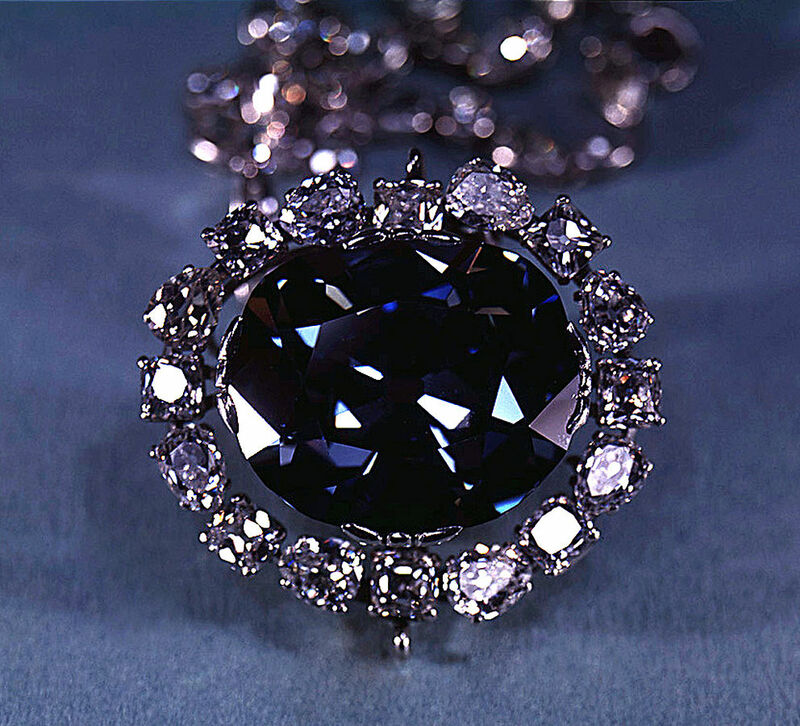 The most famous colored diamond, Hope Diamond in 1974.